Where counselling takes place is important; not only its location in the building but also the physical layout of the room, this can make a big difference. Therefore making a choice of where to engage with your patients is extremely vital. What is the expected cost of hiring a counselling room in no. 22 Harley Street? 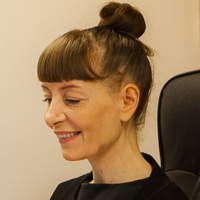 Our rates are highly competitive when set side by side to other counselling rooms in Central London. With a rate of £375.00 for the license fee per year and an additional charge of £125.00 per 4 hours (minimum use) or £95.00 per 3 hours (minimum use), the end result is achieving good value for money. For this economical price structure you will be able to reserve your chosen room on a sessional or occasional basis. All you need do is get in touch with us. In addition to the above, it’s also worth noting that from the moment your patients come into the building, to our modern counselling rooms, to the moment they leave; they will find our staff sympathetic and helpful. Most importantly everyone is treated with absolute discretion. Both daily and evening sessions are offered. Morning sessions include four hours minimum use and Evenings sessions (5.30pm – 8.30pm) are three hours minimum use.